Queen Alexandra’s birdwing is the biggest butterfly in the world. The wingspan of females is up to 27 cm. Males (and we are to weave a male) are a bit smaller. Ornithoptera alexandrae inhabits Australian forests. You’ll need some fishing line with diameter 0,15 mm, a beading needle size 11-15 and 16 colours of seed beads size 11 or size 10. 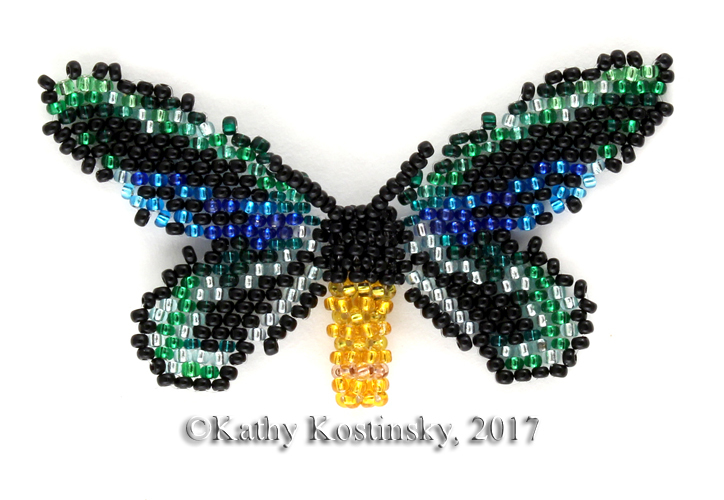 This butterfly pattern is a part of the collection "36 butterflies and moths of the world".